Hi there:) Since the last post I’ve been knitting furiously on my City Cape from Purlsoho in a tweedy grey yarn. Unless Halloween costume-making takes over, it should be finished soon! 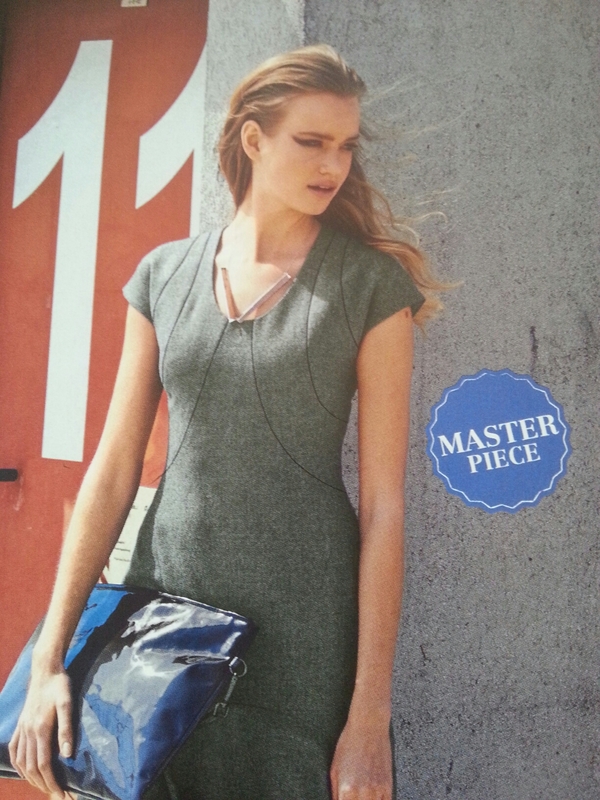 The dress pictured here was one of my favourites from the September Burdastyle magazine. 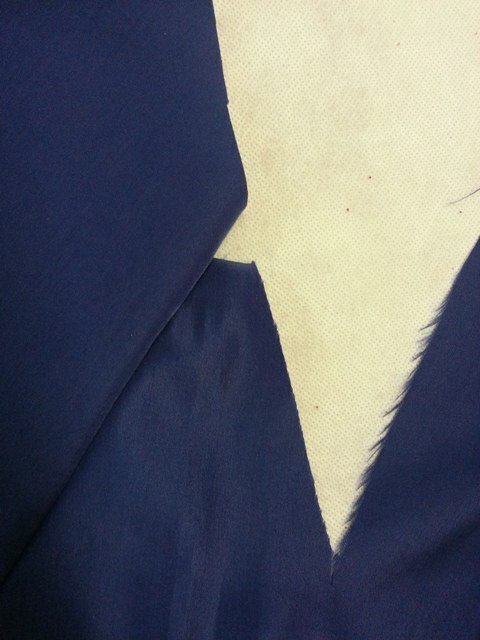 It has very interesting seam lines and not too many pieces to trace. I started buying Burda magazines over 15 years ago and once I faced my fear of using them (took about five years!) I found their sizing worked well for me. I made this from some lightweight (poly mix) suiting. The grey was a remnant bought in Fabric Select in Dublin and the black was leftover from an old project. 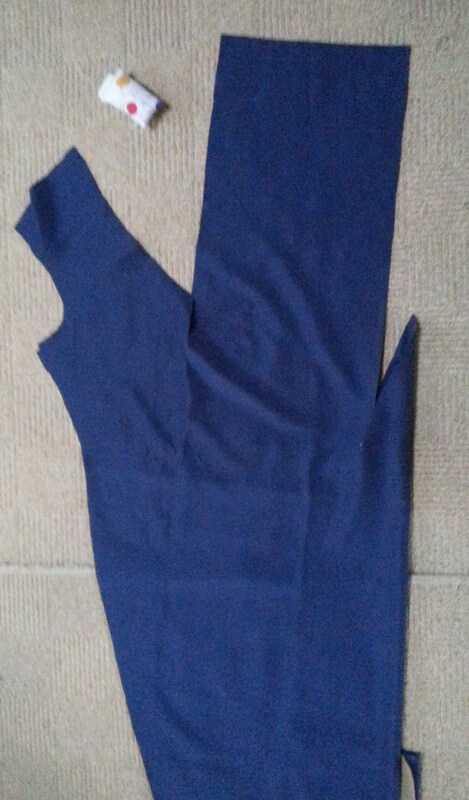 I traced the size 36- but as my waist is the larger size, I cut it with 2cm side and center back seam allowances. 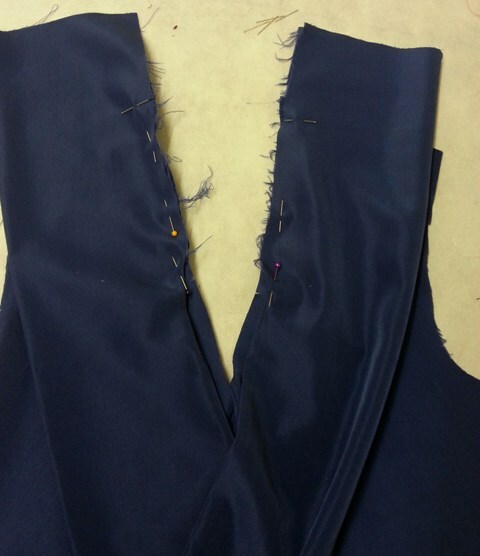 All other seams were cut at 1cm to make it easier to sew the curved pieces accurately. 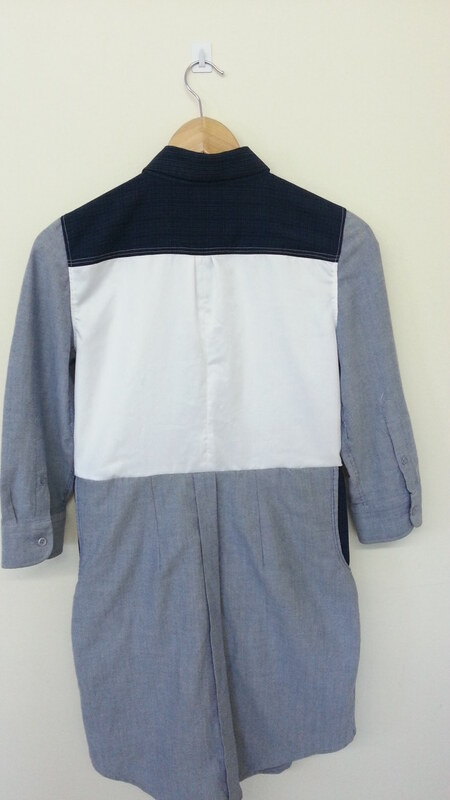 I then assembled the front and backs and pinned the sides to fit my shape. 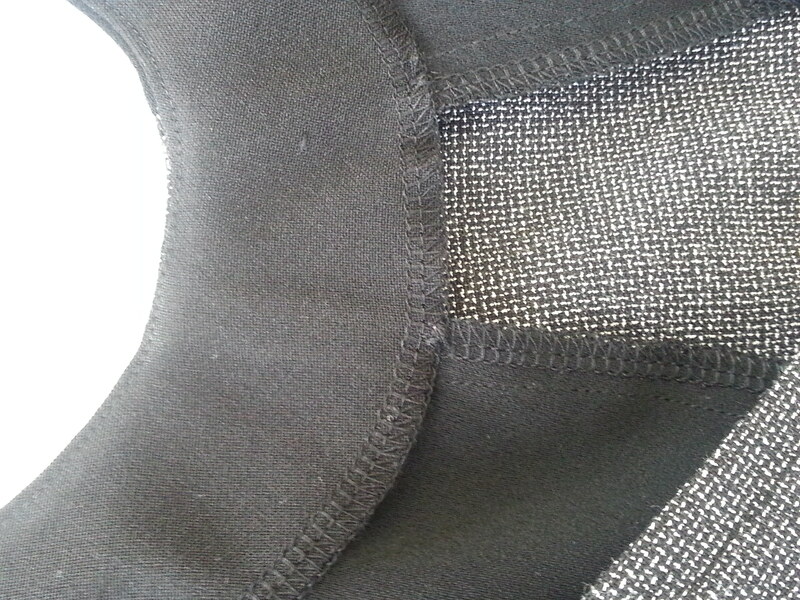 I understitched the facings and also held them with a handstitch to the inside seams. I also needed to leave slits in the shoulders to allow for proper arm movement. 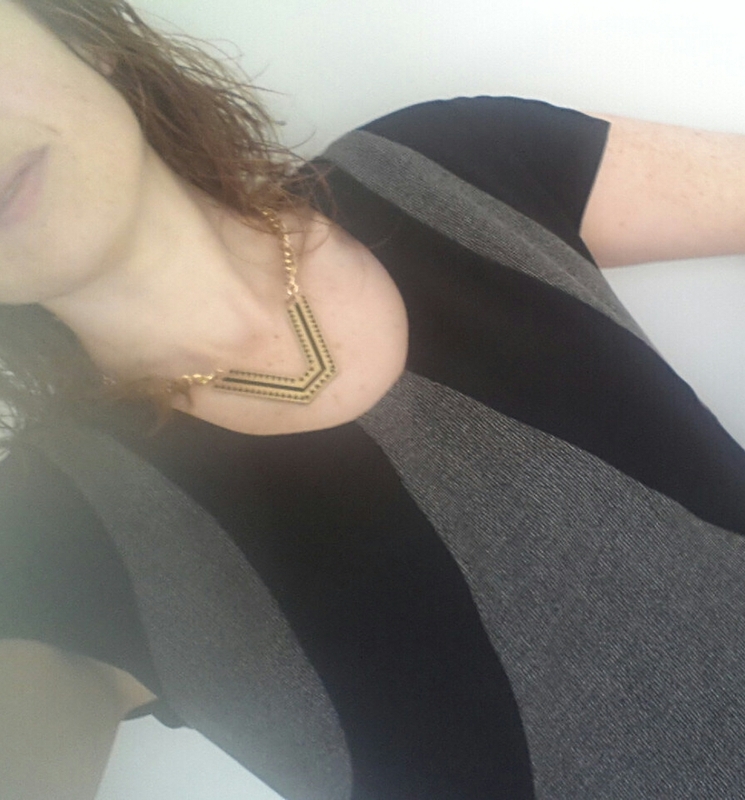 When the seams were fully stitched, it meant the entire dress lifted when I raised my arms. 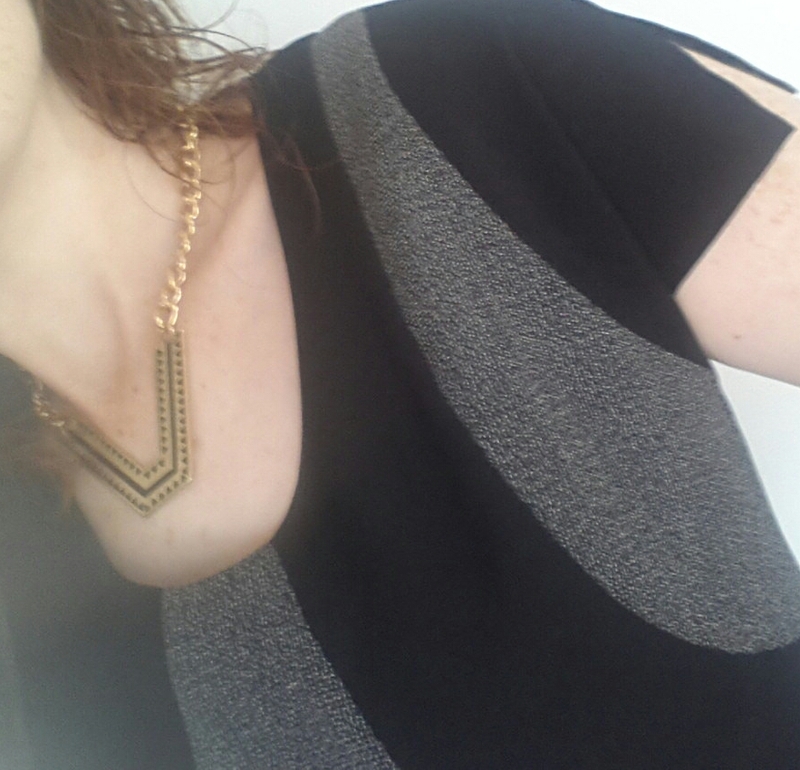 I suspect it was a combination of my straight shoulders and narrow sleeves which caused this. I also omitted the center front panel on the skirt by just extending the center front line on the pattern piece and drawing a new hemline. 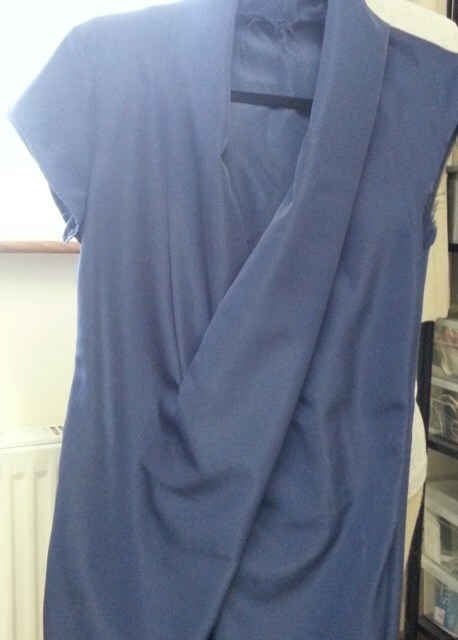 It was a pretty quick make as I didn’t make any muslin and fitted as I went along which usually works out ok. I rarely spend too much time adjusting patterns unless I think I will be making more than one of it. 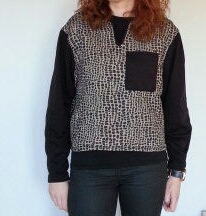 My to – sew list is so long that I rarely make things twice! 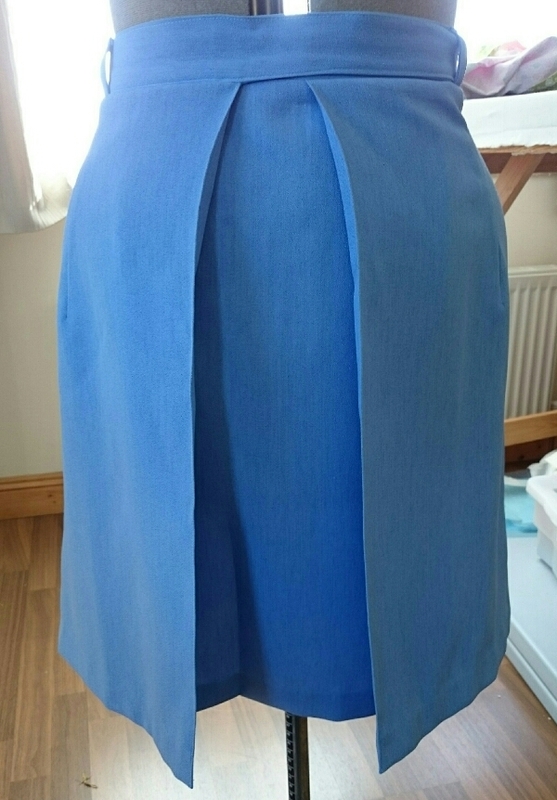 It’s been a longer break than expected but I’m back with an update on my blue dress. Judging by the number of views the last post received, I think more than a few people are considering making this! So I just want to say Hi! to any new followers – thanks for stopping by and do let us know if anyone else is working on this dress. 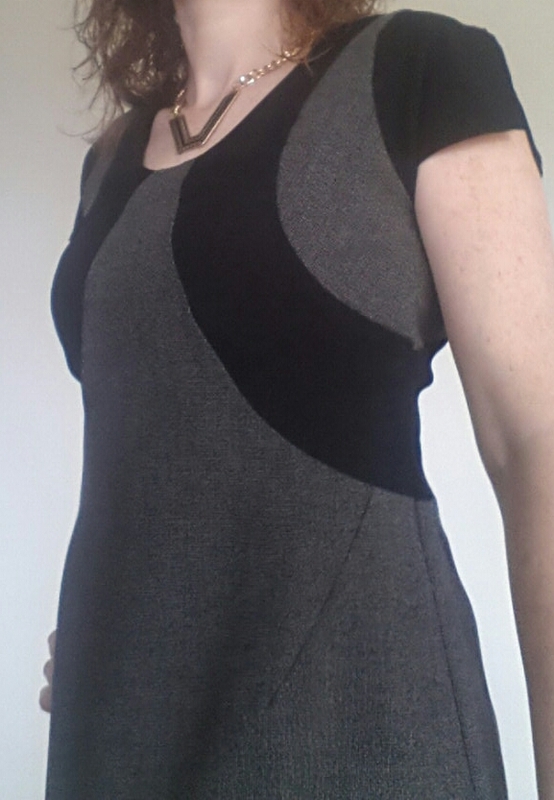 I had planned to have this burda dress finished before my holidays in April, but it just didn’t happen. Nevermind, it will still be worn when it’s done! 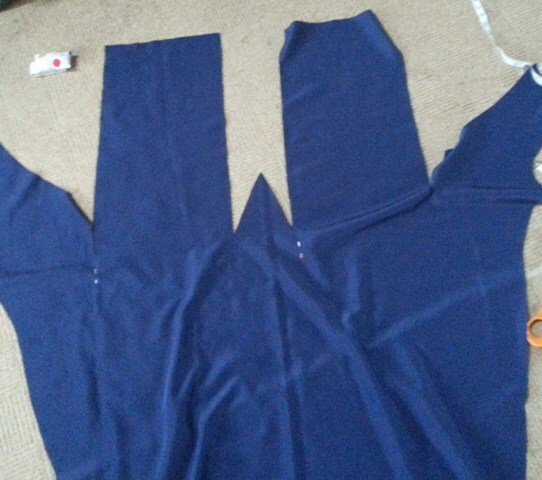 The sleeves were tacked in and the side seams stitched together. But when I tried it on, it did as expected and pooled weirdly around the legs. 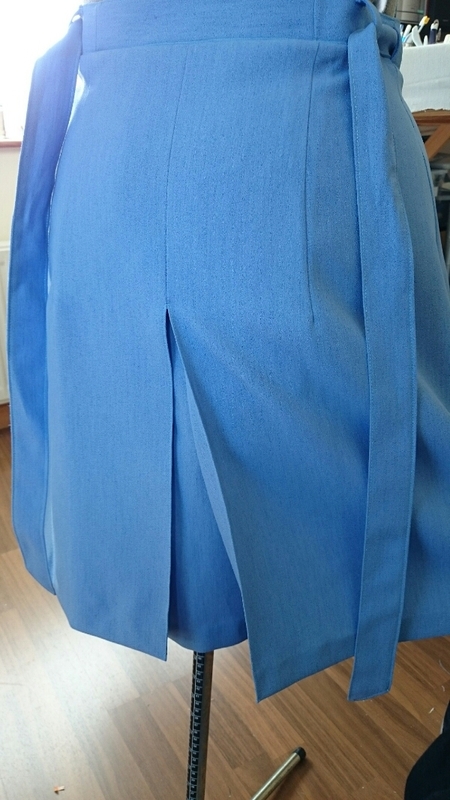 I decided to stitch the pleats in place to hold their shape. 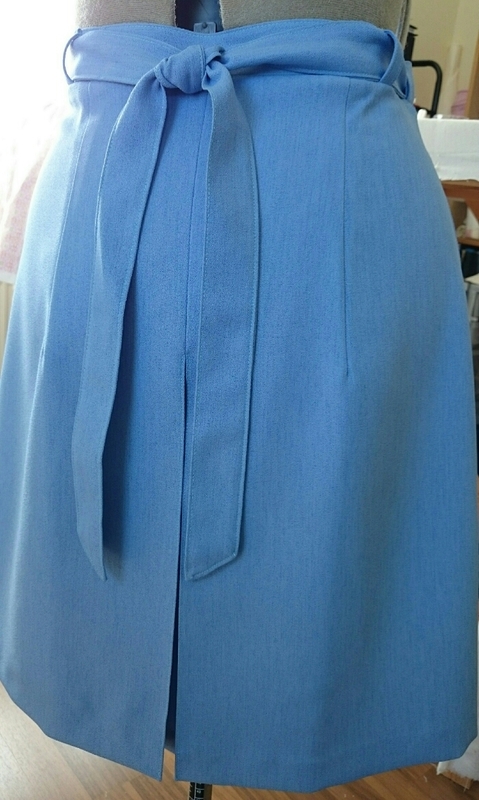 I first pressed each side as far as the hem .Then pressed them towards the center of the dress. I had taken pictures of theses steps but unfortunately they were deleted by mistake.! I did encounter another problem after trying on again- it was almost impossible to raise my arms without hiking up the entire dress. The armholes seem to be very low. 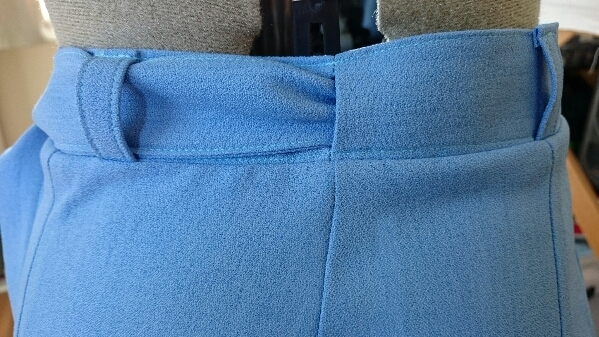 I cut a slit in the sleeve as it was impossible to lift my arm! 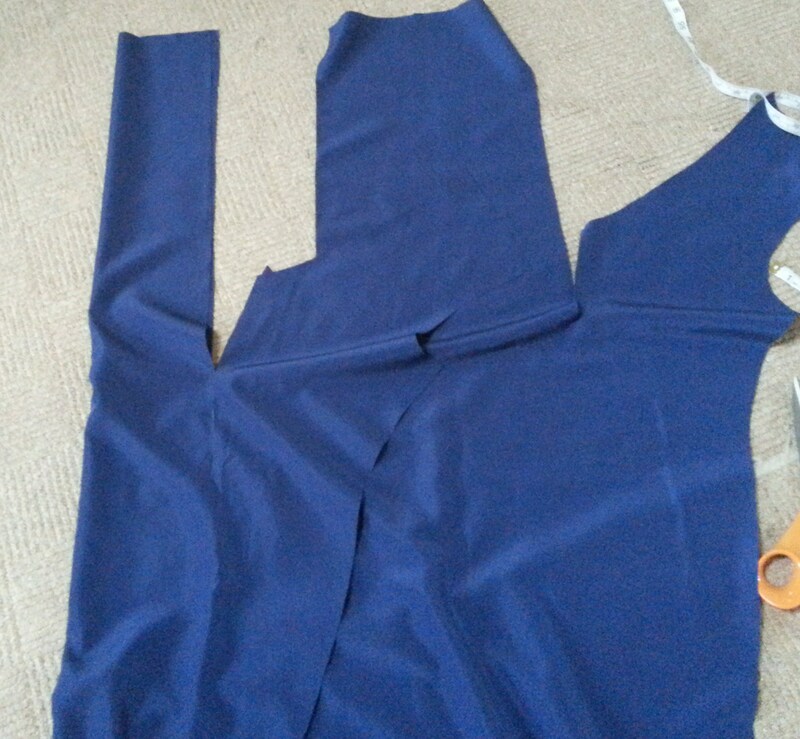 I’ve since taken out the sleeves and plan to bind or face the armholes and just leave the dress sleevless. ….ahh lesson learned… shoulda done a muslin! I parked it for a few days to work on some less taxing sewing and also machine knitting – which worked out really well. I love the fold over detail at the front – not sure I like how it is folding in at the legs, I’ve noticed a few other bloggers mentioning it too. I’m hoping that I can figure a way to make it look better. 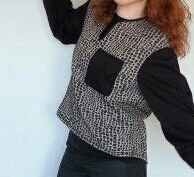 It’s also shown as a top in printed fabric. Which I think I could always shorten it into, if the dress doesn’t hang nicely. 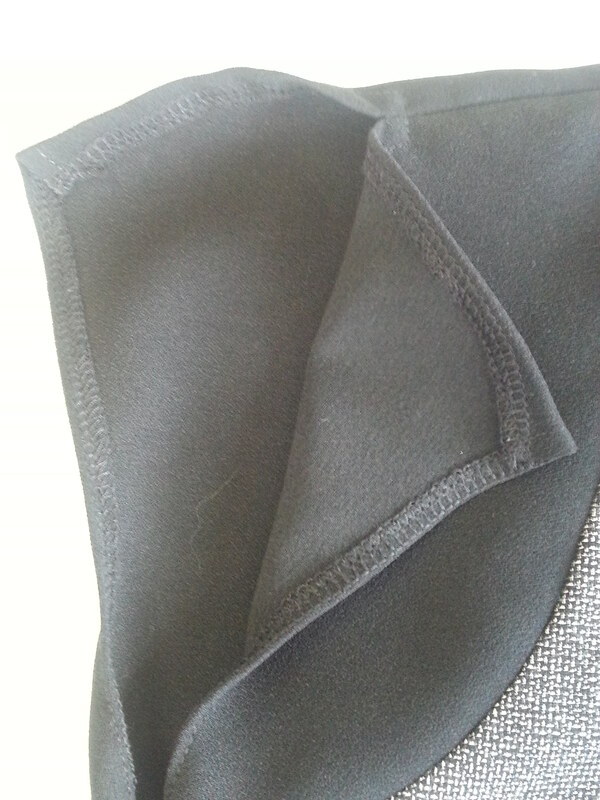 I’ve had some dark blue crepe de chine ( poly – something , definitely not silk! ), in my cupboard with over a year. It was just waiting for this kind of pattern. So far I’ve begun to assemble it and, even though it is illustrated in the pull-out section, it is still a little bit of a head scratcher. 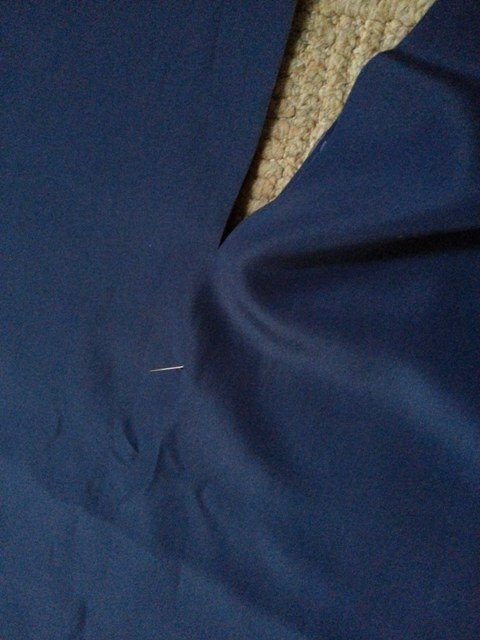 I rarely use chalk to mark darts or dots, instead I pin right on the dot and then sew to where the pin is. Here’s the front piece opened out . 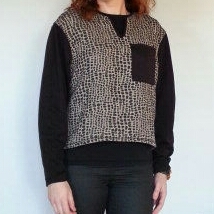 The rectangular shapes are the draped front & collar pieces. 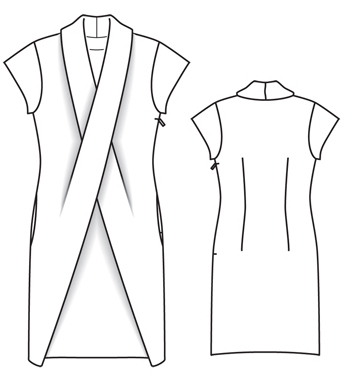 The drape pieces are folded in half toward the centre of the dress and stitched from the marked notch to the dot at the end of the v , and back up to the centre front. Here is how the centre of the dress looks after stitching: The instructions tell you to fold down the tip of the centre front piece before you sew. The wrong side again after both sides have been stitched: The instructions tell you to reinforce the v points before stitching ( which I forgot to do) And then to snip into the v as close to the stitches as you can. The next part of the magazine instructions were a bit confusing to me, I’m not sure if it was tiredness on my part or that the pictures threw me off slightly. 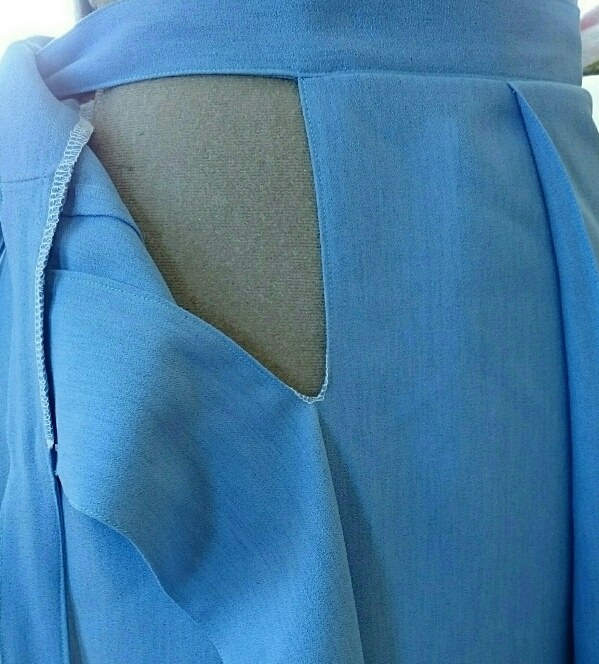 But it took me a minute to understand that I was to partially baste each draped piece to the front neckline. 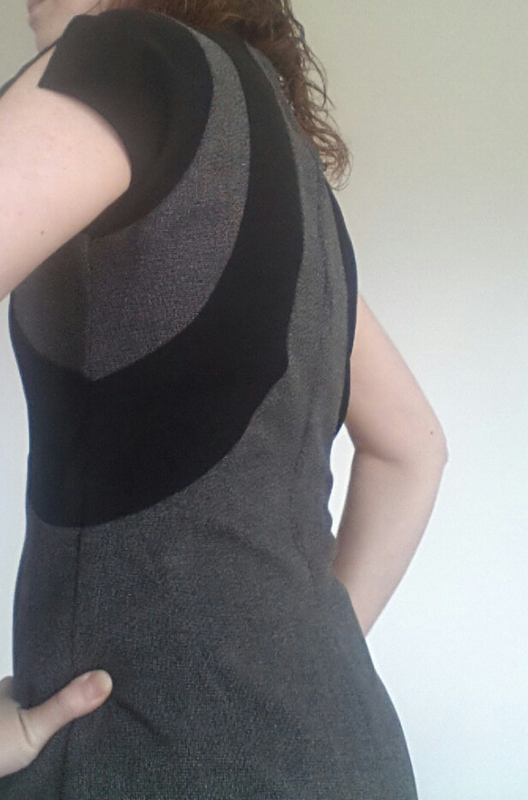 After that I sewed the darts in the back piece, and then basted the side seams and shoulder seams. I also basted in a sleeve. 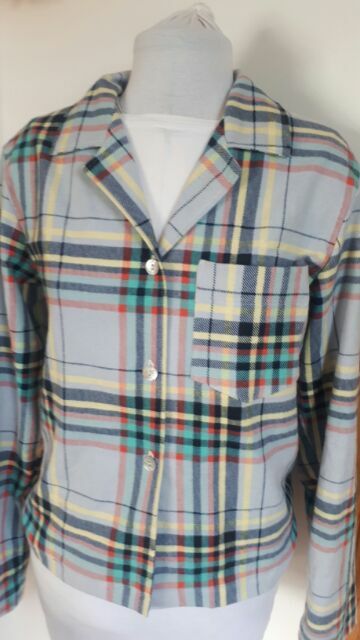 And then it was ready for trying on….. no pics I’m afraid as it was pretty late at that stage. The fit was pretty good, it has nice shaping in the back. 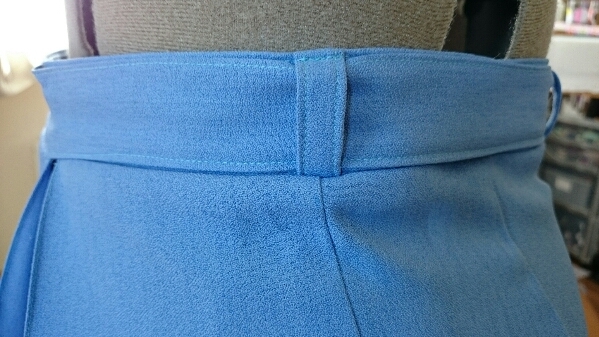 Although it calls for a side zip, I was able to pull it on without any trouble, so I might not bother with one. I’m experimenting with it and will have it figured sooner rather than later, as I really want this finished in time for my Hols next week !